Drawing Some Political Lines: Ideology in Hip-Hop - iMWiL! Rosa Clemente and Jared Ball addressed the topic of “The Rap on Politics” during the second annual “Is Hip-Hop History?” conference at the City College of New York’s Center for Worker Education. In each case Clemente and Ball were clear to distinguish themselves as “hip-hop radicals” in order to draw some political lines and raise serious questions about the tendency toward liberal politics that dominate mainstream academia and activism often associated with hip-hop. 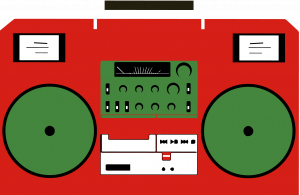 The two were clear that discussions of hip-hop as disconnected from the conditions of oppressed communities (colonies) and political approaches which seem wedded to convention need more public challenge as each exclude or diminish important ideological traditions which have and continue to sustain communities in struggle worldwide.